Mr. Ryall has created a Facebook page so that we can follow his race progress. 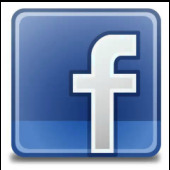 Please click on the logo and login to Facebook (if you have an account). Please "like" his page "Howe Sound Secondary Auto". 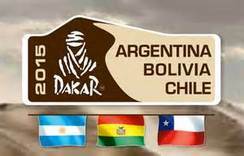 You can also like the team he is working with "El Martillo Racing to Dakar"
You can also follow Robby Gordon on his website as he competes in the Dakar race this year. Create a presentation for the class to teach your peers about an automotive topic that interests you the most. You may choose one of the topics from the following list or you may create a topic of your own and have it approved by Mr. Ryall. You will have access to computers to complete your research and you may work with a partner if you like. Your presentation should teach us something new. It should be visual and engaging. You may use Power point or any other presentation software of your choice and presentation should be between 5 and 10 minutes long. - How do steam engines work? - What years were steam engines used? - Are steam engines efficient? - Why aren’t steam engines used any more? - History of the racing, how did it start? - What is the object, and what are the rules? - Are there different classes/categories? - Are there different sanctioning bodies? - What are some safety components the cars must have? - What type of engines are used and how much power do they have? - Are there restrictions on engine size or a maximum horsepower output? - What type of fuel is used? - What brakes are used, and how do they differ from a stock vehicle? - What suspension is used? - What tires are used? - Does the technology used in racing get used in modern vehicles? - What type of culture is associated with these forms of racing….what type of people would you find at race. For example at a Nascar race a big part of it is “tail gating” before the race, bbqing, playing games etc. Electric/hybrid cars: Show the evolution of hybrids/electric cars. - What is the difference between full electric/hybrid? - What are pros and cons? - How do brakes work on electric cars? - What manufacturers are making these cars? - Why aren’t all cars electric? 1900’s, 1910’s, 1920’s, 1930’s, 1940’s, 1950’s, 1960’s, 1970’s, 1980’s, etc…. - What was the new technology in that decade? - What were the general similarities/differences of cars in that decade? - What influenced car design/style from that decade? - How has automobile safety evolved over time? - How are cars tested? - What types of safety systems are there? Note: the 1960’s had some pretty cool cars….definitely the hot rod era!